It's very exciting to see the 5-star reviews Blood in the Desert is racking up on Amazon! 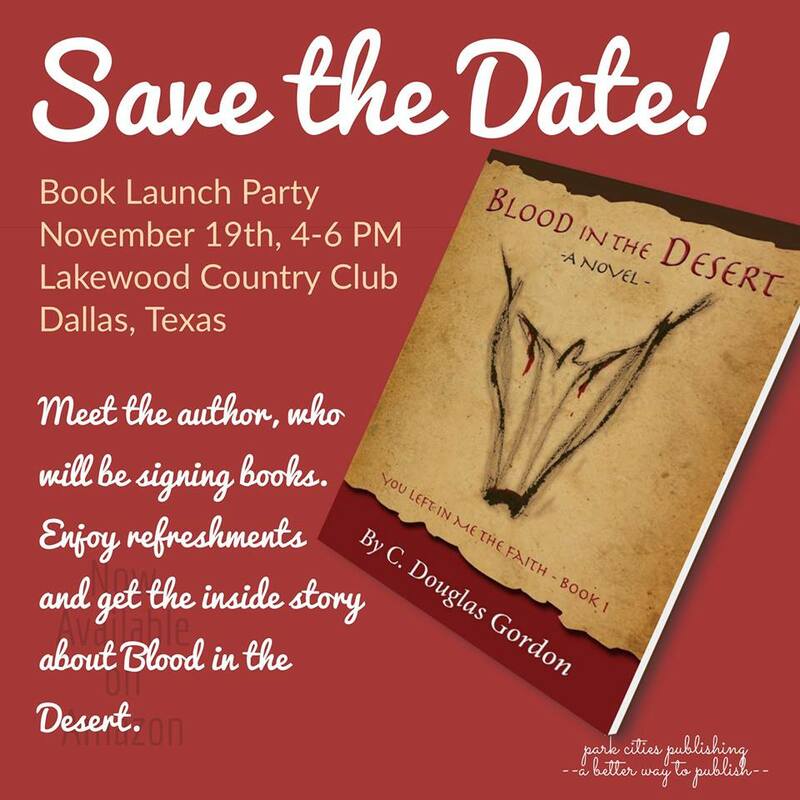 The formal Launch Party will be held on November 19. If you're in Dallas, and would like an invitation, please email mbsmith@parkcitiespublishing.